Glamorous Camping?? Y Knot try it out!! The Y Knot is excited to offer 5 Glamping tents, fresh air and mountain scenery for your camping enjoyment! 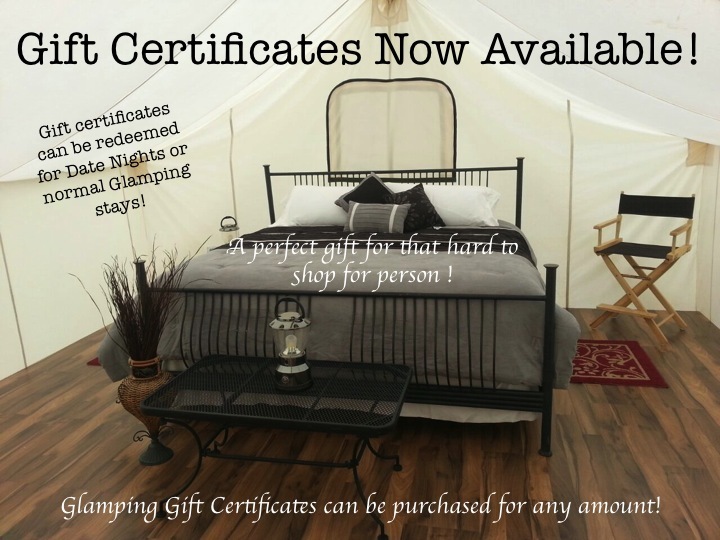 We are counting down the days until Glamping Season begins!! Not sure what Glamping is - Click here for a blog post that provides great detail about Y Knot Glamping!